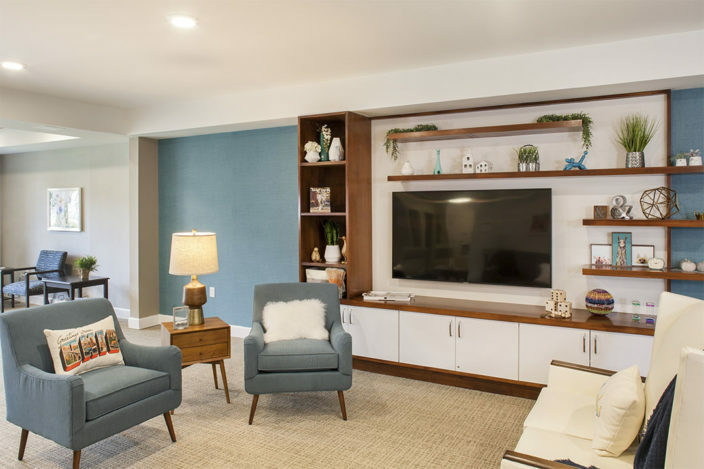 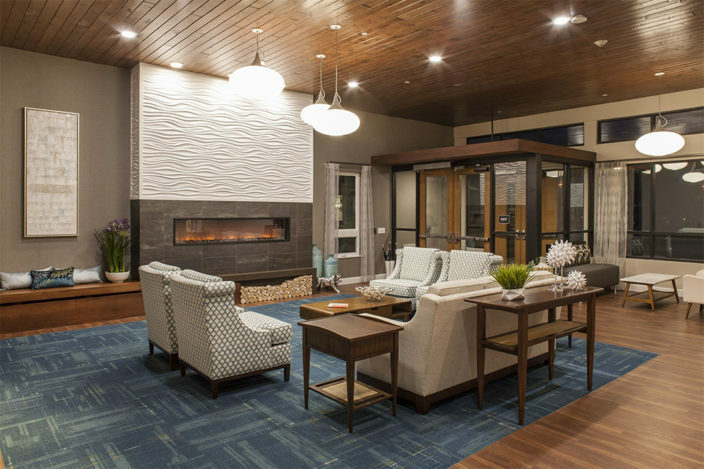 The Grove at Oakleaf Village of Columbus recently opened its doors as the area’s newest senior living community dedicated to providing high quality memory care. 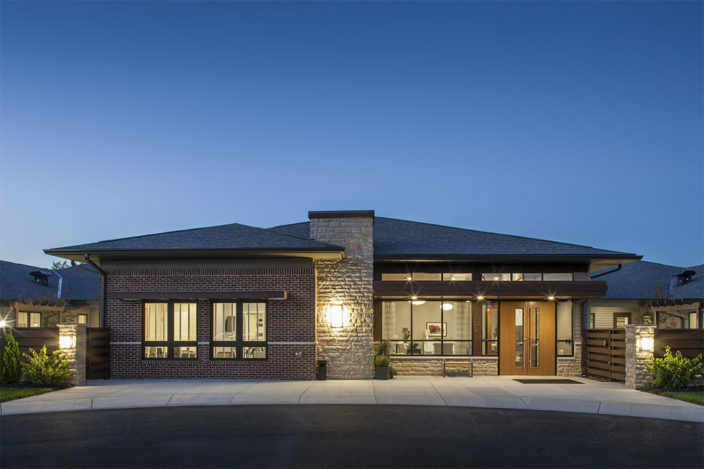 The facility is carefully designed into four “neighborhoods” where residents of similar acuity live. 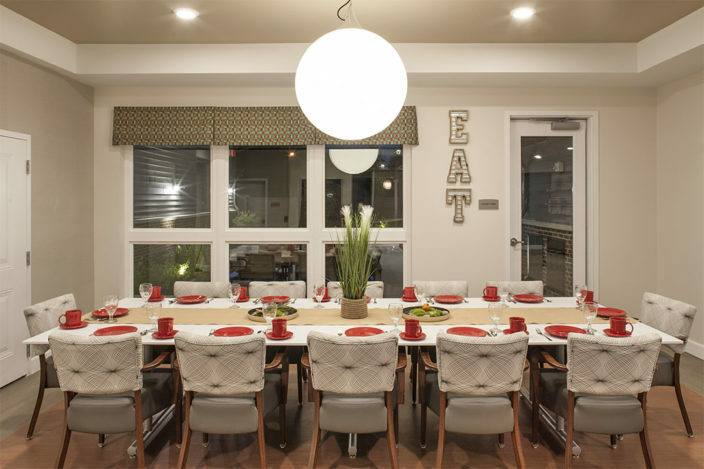 Each neighborhood contains its own open kitchen, family style dining room, and comfortable living area. 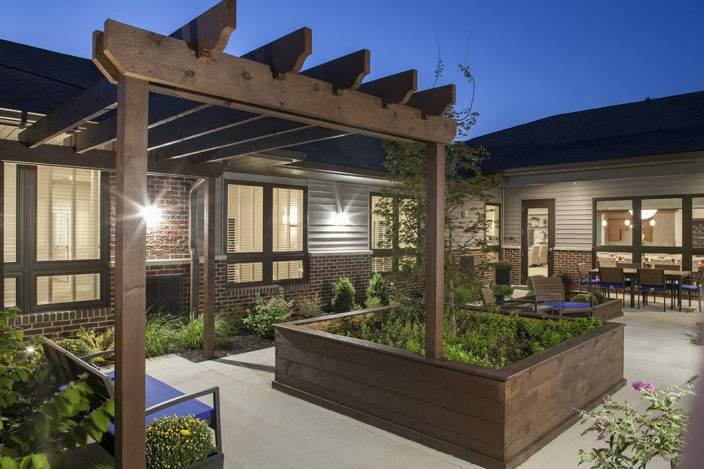 This design solution strives to provide features that enhance the quality of life for all residents by emphasizing privacy, dignity, meaningful activity, and independence.